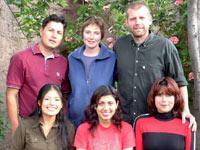 Teaching, Care, Sports,Community, Medicine & Healthcare and Language Projects are based in the Sacred Valley or Cusco. You will firstly be taken to our Peru office and be given an induction to the town as well as meeting the staff, and will then be transferred to your accommodation. Your host-family will be keen to settle you in and make you feel at home, and you'll no doubt be offered your first meal of arroz con pollo or lomo saltado, washed down with coca tea. Inca Projects volunteers are based in Huyro in the La Convencion province. Huyro is about a three hour journey from our main office in the Sacred Valley and has an internet cafe and many small shops. The work that volunteers are involved in consists of three main areas; archaeology, community work and expeditions. Volunteers live in a community house close to the centre of Huyro with a family of Projects Abroad staff that will cook and look after you. Volunteers are very much part of the Huyro community.